and assistance from the company’s sister utility, ComEd, in Chicago. severe weather – via text, email or phone. Have a supply of bottled water and easy-to-prepare food. up to 24 hours, and up to 48 hours when full. service should call the company immediately at 1-800-841-4141.
or mobile device at www.peco.com. 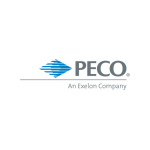 releases via email, please send your email address to PECO.Communication@exeloncorp.com.